The 2019 institute will take place July 29th through August 2nd in Carpinteria. It will focus on Environmental Science for teachers grades K-6, and will include content and lesson plans aligned to the Next Generation Science Standards for Earth and Human Activity (ESS3) and the Environmental Principles and Concepts (EP&Cs) For more details see our flyer, or click here to register. New @SouthCoastScienceProject Account on Instagram! You can now see our project in action on Instagram! Follow us to see photos from our Summer Insitutes, SciTrek, announcements, and NGSS updates and resources. Run by co-director Mandi de Witte and SciTrek Education Coordinator Sammi Lambert. The 2018 institute will take place on July 30th through August 3rd at Peabody Charter Elementary in Santa Barbara. It will focus on Earth and Space Science for teachers grades K-6, and will include content and lesson plans aligned to the Next Generation Science Standards for Earth's Place in the Universe (ESS1) and Earth's Systems (ESS2) For more details see our flyer, or click here to register. Join our new mailing list for occaisonal NGSS and CA Framework updates, as well as the official invitation to our annual Summer Institute. Be sure to select "notify me for every new message" for e-mail delivery preference. The Chemistry and Engineering Reunion Day will be held on Friday, February 23rd at UCSB. This reunion day is a follow-up to the 2017 summer institute, and will feature an NGSS update, two more chemistry lessons, and a content talk from a local Engineer. If you attended the 2017 summer institute check your inbox for an invitation this fall! Please click here to access all of the participant surveys for this year's institute. The 2017 institute will take place on July 31st - August 4th at Carpinteria Middle School. It will focus on Chemistry and Engineering for teachers grades K-6, and will include content and lesson plans aligned to the Next Generation Science Standards for Matter and its Interactions (PS1) and Engineering Design (ETS1). For more details see our flyer. The 2016 institute took place August 1st - 5th at Carpinteria Middle School. The focus was Physics for teachers grades K-6, and included content and lesson plans aligned to the Next Generation Science Standards for Forces (PS2), Energy (PS3), and Waves (PS4). Lessons and concepts featured at this institute can be found on our Physical Science page. The institute was well-attended by over 50 K-6 teachers in the Santa Barbara, Carpinteria, Ventura, Oxnard, and surrounding districts. All those who attended will be invitied to a "reunion day" during the school year for more Physics lessons, NGSS updates, and strategies to incorporate science into English language arts. 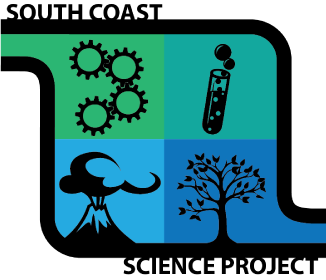 The CDE has posted the second draft of the new California science framework, aligned with the Next Generation Science Standards. The framework is available for download, review, and public comment until August 29th, 2016, and provides a more in-depth look at the standards, course sequencing, assessment, implementation, and much more.